Steven Godsberg is an honors graduate of City College (B.A.,1964) and a 1967 graduate of Columbia University Law School. 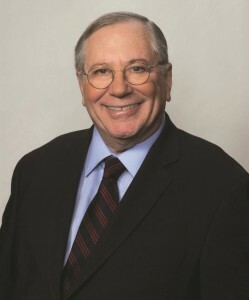 Mr. Godsberg began his career at the New York City law firm of Rosenman & Colin where he concentrated on corporate and real estate tax matters. Thereafter, he was a partner in several New York City firms representing clients in the hotel development, advertising, insurance, real estate and entertainment industries on a broad range of matters. Mr. Godsberg currently represents developers, commercial landlords and individuals in all aspects of real estate financing, development, management and ownership. He serves as a general counsel and advisor to business entities, overseeing their legal, structural and tax issues. Mr. Godsberg is admitted to the New York Bar, the U.S. Tax Court and the U.S. District Court, Southern District of New York.